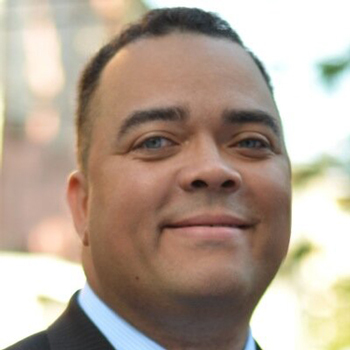 Two Brooklyn legislators have proposed a “flip tax” that would increase transfer taxes on certain residential properties that are resold within two years of being purchased. 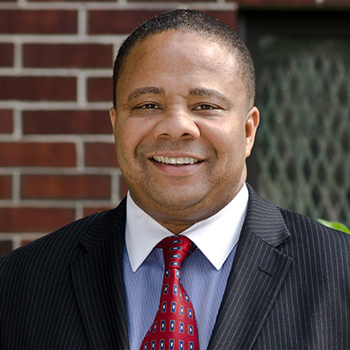 Assemblymember Erik Dilan and State Senator Jesse Hamilton have introduced identical bills in committees in the Assembly and Senate, touting the tax as a measure that would discourage the type of flipping they say reduces affordability in the housing stock. The proposal was first floated by housing advocates during the East New York rezoning process, one of the areas that saw the largest increase in flipping activity in 2015, according to a report by the Center for NYC Neighborhoods, which looked at single-to-four-family homes. “In East New York, as soon as the rezoning was announced we saw a huge spike in flipping activity,” said Caroline Nagy, the director of policy and research at CNYCN. The prospective tax is a significant markup, since New York City has a particularly low transfer tax rate on residential properties, ranging from 1 to 2.6 percent on most transactions. For example, if you were to sell a two-family home in Bensonhurst right now for $600,000, you would pay a city transfer tax of 1.425 percent — the range for homes between $500,000 and $1 million — plus the state tax rate of $4 per $1,000. Under that hypothetical, you would pay a transfer tax of just under $11,000. Under the proposed bill, you would pay an additional $90,000 if you were to resell the property within a year, and $60,000 if you flipped it within two years. Heidi Learner, chief economist at Savills Studley, pointed out several legislative holes in the bill that she said would render it largely ineffective for many professional flippers. “There are ways around it. There’s nothing in the legislation to restrict buying something all-cash, and renting it for a year or two” before selling it again, she said. In addition, the bill doesn’t target investors who buy homes and hold them, which means many investors and developers who buy homes to rent or develop wouldn’t be affected. It also doesn’t have a residency requirement, wouldn’t hit stabilized properties of six units or more, and also excludes new development housing. For example, a buyer of a unit at under-construction 220 Central Park South could buy a unit and flip it two months later without paying the proposed transfer tax. But someone who bought a resale condo and then flipped it a short time later would have to pay the tax. Though it wouldn’t make a dent the new development market, the proposed tax could dampen an already sluggish resales market, said Wolf Jakubowski, a townhouse broker with Brown Harris Stevens. “I don’t know of anybody who’s buying a single-family home for resale because the market is so unclear,” he said, adding that an additional tax would further discourage potential townhouse flippers. The bill is primarily aimed at discouraging flipping in low-rise, outer borough neighborhoods with smaller residential buildings and fewer stabilized units. In neighborhoods where you can still buy a home for less than $500,000, flipping can impact affordability dramatically, according to advocates. The effect is twofold: It can raise home prices quickly while also locking out potential homeowners who can’t compete with real estate investors, said Nagy. Beyond that, many of the homes that are flipped are rentals that don’t share the same rent protections that larger buildings have. But the practice of flipping is helping change that. According to CNYCN, between 2011 and 2016 over 18,000 units were affected by flipping citywide, putting them at risk of becoming non-affordable. In Jamaica, median home prices increased 66 percent since 2011, according to data from Attom. 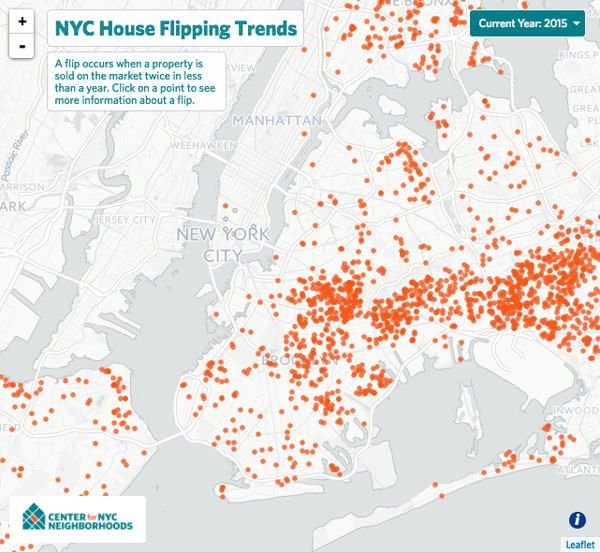 And with the development boom in Brooklyn in full swing, flipping has also become more profitable, according to the CNYCN report, bringing in a median 75 percent gross return on investment in 2015, but often hitting above 100 percent profit. In Cypress Hills, the median gross profit on flips in 2015 was 125 percent, the CNYCN report claimed. In the metro New York area, the average flipped property is bought at a 36 percent discount and sold at a five percent premium, Attom data shows. That could mean that the investors are adding value to the home, said Blomquist, or it could be representative of the sometimes predatory methods investors use to take advantage of seniors and distressed homeowners in areas with high profit potential.